Don’t miss this wonderful way to get in your physical activity with friends and neighbors! We will head to The Ridge Recreation center where you can swim, water walk, walk the track, lift weights or attend a class (if it fits within our time constraints). If you are interested, see Risa for information about payment. Check with your insurance…many health insurance programs pay through the Silver Sneakers program. You must have a Foothills Recreation District ID. If you don’t have one, bring your proof of physical address and identification and Risa will help you get your ID. No need to sign up…just step out to meet the van. Don’t miss this wonderful way to experience and try different foods than you normally eat! Come try these yummy Indian specialties! 25+ Items – Tandoori Chicken, Basmati Rice, Saag Paneer, Mixed Vegetables, Chicken Curry, Meat Balls, Eggplant and Potatoes, Naan, Lentils, A Variety of Fresh Salad Items: Lettuce, Tomatoes, Cucumbers, Carrots, Yogurt Dressing, Various Chutneys, Rice Pudding and many other items that change daily. The all you can eat buffet is $10.95 on your own. If you cancel within 24 hours of the event, you will be responsible for a $5 cancellation fee; $10 if it is a 2 van event. Please sign up in the Birch dining room to be a part of this event. 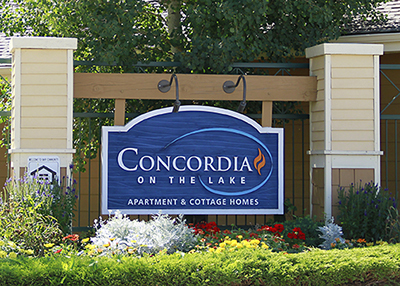 I am starting a new hospitality club here at Concordia for existing residents to help welcome home new residents. I am looking for 3 per building and 2 from the cottages. I am looking for upbeat, happy, outgoing people who like to befriend people who are new to a situation and help start them on a positive note here at Concordia. Please come to the meeting if this is YOU!!! We will talk about ideas then. Join us for a wonderful breakfast with all of your friends and neighbors! The menu includes omelets, pancakes, French toast and several egg breakfasts. This is a great way to meet new friends! Come and enjoy the most important meal of the day! Please look at the menu in your building’s trip book to view the options before you sign up! Breakfast is on your own. If you cancel within 24 hours of the event, you will be responsible for a $5 cancellation fee; $10 if it is a 2-van event. Please sign up in the Birch dining room to be a part of this event. Come and meet the new audiologist, Pat Davison the first Tuesday of every month! He will be replacing Columbine Audiology who has been a wonderful partner for us for the past 15 years. They have moved across town and are downsizing and no longer have the man-power to come over and service Concordia. We are excited to make a new relationship with Pat Davis whom several of our residents already see for their hearing aid needs. Please stop by and meet Pat and see what he can do for you, your hearing and your hearing aids. Please sign up in the Birch dining room for a time slot to stop by and talk with Pat about hearing issues or your hearing aids. …No need to sign up. Just come and enjoy! Come get your dance on with Risa! This fun, energizing class will teach you line dance steps to a variety of music, including The Electric Slide, Boot Scoot and Boogie, Rockin’ Cha, Cupid Shuffle, just to name a few. We will dance on the dance floor. WEAR SHOES THAT ARE SLICK ON THE BOTTOM, SUCH AS LOAFERS, COWBOY BOOTS, DANCE SHOES, BALLET SHOES (not tennis shoes). PLEASE BRING A BOTTLE OF WATER. No need to sign up…just come on over to the Event Center. YES!! We are having our annual flu shot clinic again this year! Front Range Flu Shot clinic will be here at Concordia to give you your flu shot right here! They WILL NOT be bringing Pneumonia shots as the dosages differ and since this is a new clinic administering our immunizations, they cannot know who has had what pneumonia shot in what year. This is a convenient way to get your immunization! If you are with Kaiser, they give them free at Kaiser, so you will need to go there. Please see Lorinda for insurance forms and to sign up for your time spot. You can ONLY sign up with Lorinda for the clinic. Please sign up by Wednesday, September 26 to be sure the correct amount of immunizations are ordered. There will be no late sign ups! Come and join us for a whole lot of fun!! Each week, we will play a different game on the WII video game console. This is an active video game where you do the actions and it is almost like you are bowling or standing on a tee box on a golf course or hitting over a net with a tennis racquet! It is fun, friendly competition and you can get your exercise without leaving the community! The Concordia Calendar will show which sport is being played on what day. No need to sign up, just come on over and either play or watch. It’s LOTS OF FUN! Come try your luck at a bit of geography trivia! Join us for another round of this great, mind-bending trivia game! Come and test your knowledge of the world you live in. Geography trivia is the topic and you will work with your group to figure out the answer! Each week you are with a different group so you get to know your neighbors AND learn from their strengths! Please come and give it a try!!! The person who has the most points at the end of the year will get his/her choice of activity “on the house” –what a great deal!! Come and try it out, and I promise you will enjoy it! No need to sign up…just come on over to the Event Center. Join Active Minds for an objective review of the current issues on the ballot this fall. We will review each proposal, presenting arguments on both sides. We will also review the referendum and initiative process in Colorado, including its history, pros and cons, and significant legislation that has resulted from this process in the past. Please come with an open mind prepared to be educated, not arguing your side. This is not a forum for political agendas. RSVP by Tuesday, October 2 to be a part of this event. Find your coupon and let’s get to Kohl’s! You will find anything from jewelry to kitchen doo-dads, to men’s clothing, to women’s accessories and much more! There is no doubt you can find something for everyone on your list! If you want to shop at Safeway, here is your chance! Rules still apply that you need to bring cloth bags to shop at Safeway! If you cancel within 24 hours, you will be responsible for a $5 cancellation fee; $10 if it is a 2-van event. Please sign up in the Birch dining room to be a part of this event. Calling all gamblers! Several of you have been really pushing for 2 Blackhawk trips a month, I am trying this again, so talk your friends in to coming! We have to have a good portion of the bus filled to warrant making two trips a month, so start talking to your friends and tell them how much fun it is! Come along to Blackhawk where you can try your luck at a number of casinos, including Ameristar, Isle of Capri, the Lodge, Mardi Gras and others. There are plenty of penny machines and great blackjack tables!!! Let’s see if we can come home Millionaires! Or have lots of fun trying!!! Lunch is on your own. An $8 transportation fee will be charged to your account. If you cancel, you will be responsible for the $8. If you cancel within 24 hours of the event, you will be responsible for a $5 cancellation fee. Please sign up in the Birch dining room to be a part of this event. Take note!! I have heard many people want their watch batteries changed or their rings cleaned or their jewelry checked for solidity. Roxy and Scott Sheldon, with combined experience of 40+ years in the jewelry business, will be at Concordia offering free cleaning, watch battery changing (you only pay for the battery) and any other jewelry needs you may have! Please limit the cleaning to 2 pieces per person. Be sure to make note of what time you’ve signed up for. Please sign up in the Birch dining room to have your jewelry cleaned or serviced. Be sure not to miss Krista, CAN, who visits Concordia the first Friday every month to keep an eye on your blood pressure. Come on down to the Cedar commons and she will check and notate your blood pressure reading for your information and a way for ongoing health monitoring for your doctor. No need to sign up, just come. Do not miss this great chance to see a wonderful show! The story of beloved comedian Fanny Brice from her start in vaudeville and burlesque, her unlikely success in the Ziegfeld Follies and romance with gambler Nicky Arnstein. You’ll recognize songs made famous by Barbra Streisand such as “People Who Need People” and “Don’t Rain On My Parade”. Music and Lyrics by Jule Styne and Bob Merrill. This is an intimate theater where all seats are in close proximity to the stage and there are little if no steps to get to the seats. $25 will be charged to your account for this ticket. If you cancel and we cannot find a replacement, you will be responsible for $25. If you cancel within 24 hours of the event, you will also be responsible for a $5 cancellation fee; $10 if it is a 2 van event. Please sign up in the Birch dining room to be a part of this event. Come with us to enjoy Christopher Dragon, conductor, Sarah Jane McMahon, Gary Mauer, and Quentin Earl Darrington, vocalists. A celebration of the music by Rodgers and Hammerstein, this evening not only celebrates the collaboration of these two geniuses, but also includes songs of Hammerstein’s collaboration with Jerome Kern (Showboat) as well as Rodgers’ collaborations with Lorenz Hart. This wonderful evening features vocalists Sarah Jane McMahon, Gary Mauer, and William Michals, and includes show-stopping Broadway tunes such as “Climb Every Mountain,” “Oklahoma,” “Some Enchanted Evening,” and many others! $45 will be charged for your ticket. If you cancel and we cannot find a replacement, you will be responsible for $45. If you cancel within 24 hours of the event, you will be responsible for a $5 cancellation fee; $10 if it is a 2 van event. Please sign up in the Birch dining room to be a part of this event. Come along with your friends and enjoy a fantastic concert performed by the Denver Young Artist Orchestra, the premier hand-picked orchestra of Denver and its surrounding area youth. “Fanfare for the Common Woman” by Joan Tower, “Carmen Suite” by Georges Bizet and “Prelude and Act II” of Aida by Giuseppe Verdi. This concert will be performed in the Newman Center for the Performing Arts. $10 will be charged to your account for the ticket. If you cancel within 24 hours of the event, you will be responsible for a $5 cancellation fee; $10 if it is a 2-van event. Please sign up in the Birch dining room to be a part of this event. This wonderful fresh seafood restaurant is located in the Bass Pro Shops in Commerce City. You will be able to order from fresh catches of the day, grilled seafood choices, alligator tail and much, much more! While you dine, you can enjoy watching the fish in the gargantuan aquarium right alongside you in the dining room. You will also be given a little time in the shop to look around maybe for a possible gift for your favorite fisherman! Don’t miss this great opportunity to enjoy good seafood! Please check your building’s book to peruse the menu. Lunch is on your own. If you cancel within 24 hours of the event, you will be responsible for a cancellation fee of $5; $10 if it is a 2 van event. Please sign up in the Birch dining room to be a part of this event. The League of Women voters will be presenting the ballot issues for consideration this November 6 ballot. . They will present a simpler, more condensed version of the issue with both pros and cons for your decision. The League of Women voters will also be registering voters, so if you are not registered or need to make changes, please bring a valid ID and they will make the changes at this time. RSVP in your building’s book by Friday, October 5 to be a part of this event. Brian has planned another yummy menu with five ingredients or less per dish! Italian stuffed baked potatoes, salad and pumpkin butter gingersnap croissants are what is for lunch today! Come and enjoy an educational, entertaining morning AND a scrumptious lunch. $10 will be charged to your account for the lunch. If you cancel and we cannot find replacement, you will be responsible for $10. Please sign up in the Birch dining room to be a part of this event. Calling everyone who likes to sing or play music for fun! We will discuss how/what we will be doing as a group to get together to make music. If you have a hand-held instrument, please bring it so we can discuss our plans for creating music at Concordia social! No need to sign up, just come and collaborate! PG 2017 1HR 54 Min In this retelling of Agatha Christie’s classic mystery, a train ride through Europe on the famed Orient Express becomes the setting for murder when an American passenger is slain – and almost everyone on board is a suspect… No need to sign up. Just come and enjoy! Don’t miss this phenomenal season opener of the Lamont orchestra! Violinist Linda Wang, an audience favorite and Lamont faculty joins the orchestra for a Centennial Anniversary performance of Leonard Bernstein’s “Serenade”. The orchestra will also perform the Beethoven Symphony No. 3 in E flat major Op.55 “Eroica Symphony”. $5 will be charged for a seat in the parterre or parterre box. If you cancel and we cannot find a replacement, you will be responsible for $5. If you cancel within 24 hours of the event, you will also be responsible for a $5 cancellation fee; $10 if it is a 2 van event. Please sign up in the Birch dining room to be a part of this event. Don’t miss the 2017 Tony-Award winning Best Musical! “A letter that was never meant to be seen, a lie that was never meant to be told, a life he never dreamed he could have. Evan Hansen is about to get the one thing he’s always wanted: a chance to finally fit in.”Both deeply personal and profoundly contemporary, Dear Evan Hansen is a new American musical about life and the way we live it. “Dear Evan Hansen” has struck a remarkable chord with audiences and critics everywhere. The New York Times calls it “a gorgeous new musical for anyone with a beating heart.” And NBC Nightly News calls this bold new musical “an anthem resonating on Broadway and beyond.”$38.50 will be charged for this ticket. Remember the price listed on ticket may not include the per ticket handling fee The Buell charges. This was a pre-sign up event. If you missed signing up, please sign your name to the waitlist if you would like to be stand-by. Simply put, “The Most Exceptional Jazz Around”. The trio is comprised of Singer/Bassist: Marianne Finch who studied at Julliard in New York City, and Aspen School of Music. She has sung in the Metropolitan Opera House, and the San Francisco Opera House. Drummer/Producer/Engineer: Dino Cuneo was taught by the late great Buddy Rich at age 10. Dino has been on 26 albums to date, and has two published drum instructional books: Progressive Drum Method Volume 1 & Volume II, with two more in publication. Dino also released his drum instructional DVD titled “shredding the Skins,” and works with multiple bands. Pianist: DeLoy Goeglein was “Judy Collins” accompanist on the Chuck Collins morning tv show (Fred & Faye All Star Teen Age Dance Band). He was a member of the “Gene Di Salle Orchestra” through High School and attended Denver University. Please RSVP to be a part of this event by Tuesday, October 9. Come enjoy a fall day out celebrating harvest! We will go to the Chatfield Arboretum and go through the corn maze, purchase pumpkins for our pumpkin carving day (if you so choose), take a hay ride and any other harvest –type activity. This is your chance to be a kid for a day again! Come out and have some Fall Fun! $15 will be charged to your account for the ticket for the Pumpkin patch and the Corn Maze! If you cancel and we cannot find a replacement, you will be responsible for $15. If you cancel within 24 hours of the event, you will be responsible for a $5 cancellation fee; $10 if it is a 2 van event. Please sign up in the Birch dining room to be a part of this event. PG 13 2003 1HR 46 Min After a dispute on an airplane, gentle businessman Dave Buznik finds himself in anger management counseling. But when his therapist – who seems to have his own anger issues – moves into Dave’s house, he approaches the brink of insanity. Cast: Adam Sandler, Jack Nicholson, Marisa Tomei, More….no need to sign up …just come to the Cedar Theatre. Please join the Littleton Symphony in a celebration of Leonard Bernstein’s music to honor his 100th birthday. The orchestra will perform Bernstein’s “Candide Overture”, “Symphonic Dances from West Side Story”, “Fancy Free Ballet” and more! $19 will be charged to your account for the ticket in Littleton United Methodist Church. If you cancel and we cannot find a replacement, you will be responsible for $19. If you cancel within24 hours of the event, you will also be responsible for a $5 cancellation fee; $10 if it is a 2 van event. Please sign up in the Birch dining room to be a part of this event. EMERGENCY! Our conductor has been kidnapped! How will we pull of our daring world-premier by Charles Denier and the magnificent Overture to the Barber of Seville? Join our investigative team to learn who committed the crime. Was it someone in the trombone section or trumpets? Help us solve the mystery as we interrogate each of the players of this brassy whodunit. More than just a concert, this will be a crime-solving show you won’t want to miss. $15 for parterre seating, $25 for box seats, please write down next to your name what kind of seat you want. First come first served for the box seats. If you cancel and we cannot find a replacement, you will be responsible for $15 or $25. if you cancel within 24 hours of the event, you will also be responsible for a $5 cancellation fee; $10 if it is a 2 van event. Please sign up in the Birch dining room to be a part of this event. Have you been looking for a lunch that is “finger lickin’ good?” Don’t miss this yummy Littleton barbecue spot! You can order ribs, pork sandwiches, beef sandwiches, bbq chicken, a platter of several meats together and much, much more. Lunch is on your own. Please peruse the menu in your building’s trip book before you sign up. If you cancel within 24 hours, you will be responsible for a $5 cancellation fee; $10 if it is a 2-van event. Please sign up in the Birch dining room to be a part of this event. Calling all want-to-be artists or already working artists!!! This class is for ANYONE who loves art and would be interested in creating a work of art in a 2 hour period right in your community! A trained art teacher will come to our Event Center with all supplies for each person to paint a picture. She will then walk us through the steps of creating the picture she has planned. What can you lose? There can only be 10 people in the class, so be sure you sign up early to make sure you get on the list! First come, first served! This is a FREE class for Concordia residents, so take advantage of this opportunity! Your interest in this class will determine whether they will come monthly or not. If you cancel and we cannot find a replacement, you will be responsible for a $5 cancellation fee. Please sign up in the Birch dining room to be a part of this event. Are you having problems seeing the menu in restaurants, reading your bills, making out checks??? You are NOT ALONE!!! Please join your friends and neighbors and Chris Kinney from the Colorado Center for the Blind in facilitating this support group! No RSVP needed to be a part of this event. School is back in session and this wonderful group is presenting their first concert of the school year! Dr. Joseph Martin conducts this talented group that will play an assortment of music that has been arranged for concert band. Come and enjoy a FREE concert with an exceptional group of talented young musicians! If you cancel within 24 hours of the event, you will be responsible for a $5 cancellation; $10 if it is a 2 van event. Please sign up in the Birch dining room to be a part of this event. Come and join us as we learn how to craft our very own holiday cards! You will be given materials and taught different techniques to design cards. You will spend 2 hours designing and making 2 different cards. Hopefully, we can find interest in this and it can become a monthly crafting session making cards!! THIS IS A TOTALLY FREE CLASS!! RSVP in your building’s book by Thursday, October 11 to be a part of this event. Come help welcome this Denver favorite to downtown Littleton! They have taken over the space where Merle’s was and are now presenting authentic Mexican cuisine! Their menu consists of all the favorites: burritos, enchiladas, chili rellenos, fajitas and much, much more! This will be a great way to be one of the first ones of your friends to experience the new restaurant! Lunch is on your own. If you cancel within 24 hours of the event, you will be responsible for a $5 cancellation fee; $10 if it is a 2 van event. Please sign up in the Birch dining room to be a part of this event. NR 1947 Classic Drama Humphrey Bogart and Lauren Bacall grace the screen in this cassic 1947 thriller about a convict who escapes from San Quentin to hunt down hs wife’s true killer. To complete his mission, he must escape detection by the cops. So he undergoes plastic surgery and hides out in the home of a mysterious woman (Becall) he’s just met. The film uses a first-person point of view in its camera work, to put viewers into the shoes of the accused man. Cast: Humphrey Bogart, Lauren Bacall, Bruce Bennett, more… No need to sign up, just come over and enjoy! Deborah Lemon-L’Heureux from Comcast returns to answer questions about your Comcast bill, your service or any other concerns you may have. She will repeat the presentation on the new X1 voice remote as well. If you want her to look privately at your bill or service, please sign up in one of the ten time slots on the sheet at sign up. First come, first served. This will be an exact repeat of August’s meeting. Please sign up in the Birch dining room to be a part of this event. Everyone’s favorite, practically perfect nanny takes the stage in this Supercalifragilisticexpialidocious musical adventure. One of the most popular Disney movies of all time is capturing hearts in a whole new way: as a practically perfect musical! Based on the books by P.L. Travers and the classic Walt Disney film, Disney and Cameron Mackintosh’s Mary Poppins delighted Broadway audiences for over 2,500 performances and received nominations for nine Olivier and seven Tony Awards, including Best Musical. $51 will be charged to your account for your dinner (including tip) and the wonderful show! Candlelight Dinner Theater is about an hour and fifteen minutes north of Concordia off I-25 by Johnsons’ Corner. If you cancel and we cannot find a replacement, you will be responsible for $51. If you cancel within 24 hours of the event, you will also be responsible for a $5 cancellation; $10 if it is a 2 van event. Please sign up in the Birch dining room to be a part of this event. With a single mission in mind, Rice Bistro makes fresh, delicious pan-Asian cuisine that will appeal to any palette. Offering not only the traditional classics such as Hot & Sour Soup, Mongolian Beef and Shrimp Tempura, but all current delicacies, like Crispy Coconut Chicken, Chicken Rice Paper Rolls, and Modern Style Sashimi. Lunch is on your own. If you cancel within 24 hours of the event, you will be responsible for a cancellation fee of $5; $10 if it is a 2 van event. Please sign up in the Birch dining room to be a part of this event. It has come to my attention that there is a need and desire to have a group meeting for those who have lost a spouse, child, significant other, friend, etc… and would like to be able to share their feelings and have others support and give insight into how to heal and what they can do to grieve healthily. This is a peer support group, not led by a therapist or professional, just friends getting together to listen, give a hug, suggest what might have helped them, etc… We will see where this goes…No need to sign up, just come and be a good listener and a warm shoulder. It’s never too early to think about the Holidays!!! This is a shopper’s paradise! Park Meadows Mall combines the best of the Colorado outdoors with over 185 of the finest restaurants and retailers. There is a Macy’s, Nordstrom, and Dillard’s, in addition to Coldwater Creek, Bath and Body Works, The Gap, JC Penney and much, much more! There is a food court for lunch. Lunch is on your own. If you cancel within 24 hours of the event, you will be responsible for a $5 cancellation fee. Please sign up in the Birch dining room to be a part of this event. PG 2017 This spirit-lifting biodrama tells the story of Robin Cavendish, whose charmed and colorful life suddenly darkens when he’s paralyzed by polio. Rather than become imprisoned by his disability, however, Robin and his wife decide to tour the world. Cast: Andrew Garfield, Claire Foy, Tom Hollander, More… No need to sign up, just come over and enjoy! Don’t miss this fun opportunity to go to the Magness Arena to see the DU vs University of Alaska at Fairbanks hockey game! The Denver Pioneers men’s ice hockey team is a National Collegiate Athletic Association Division I college ice hockey program that represents the University of Denver. Coats and mittens are recommended. There must be 10 signed up for this event. $20 will be charged to your account for the ticket. If you cancel and we cannot find a replacement, you will be responsible for $20. If you cancel within 24 hours of the event, you will also be responsible for a $5 cancellation fee; $10 if it is a 2-van event. Please sign up in the Birch dining room to be a part of this event. We have met Abraham Lincoln and heard a little about his life, now we are introduced to Mary Todd Lincoln, his wife. In this one-act play, we join Mary as she prepares to leave the White House on Good Friday April 14, 1865 headed for Ford’s Theatre. RSVP in your building’s book by Friday, October 19 to be a part of this event. Come along as we go hunting for treasures! If it is a Halloween costume you need, you can find it here! If it is a gently used bread basket, it will be here as well! Everything from A to Z you can find in these treasure troves of thrift stores! If you cancel within 24 hours of the event, you will be responsible for a $5 cancellation fee; $10 if it is a 2 van event. NR 1944 1HR 40Min Dynamic duo William Faulkner and Jules Furtherman scripted this Howard Hawks classic starred Humphrey Bogart and Lauren Bacall (who, rumor has it, fell in love on the set) that’s supposedly based on an Ernest Hemingway tome. Bogie is Harry Morgan, a charter boat owner who falls for Bacall’s seductive petty theif, Marie Browning. Can’t miss scenes include the now-legendary “you know how to whistle, don’t you?” exchange between Bogie and Bacall. Cast: Humphrey Bogart, Lauren Bacall, Walter Brennan, More… No need to sign up, just come over and enjoy! Join us as we enjoy an award-winning dinner at the world-renowned Chart House. Nestled in the foothills of Denver, this fabulous restaurant boasts famous Clam Chowder, many seafood choices, surf and turf, pasta dishes and the like. You will enjoy an evening of gourmet dining in an elegant environment with wonderful company! Please look at your building’s menu for your choices. Dinner is on your own. If you cancel within 24 hours of the event, you will be responsible for a $5 cancellation fee; $10 if it is a 2 van event. Please sign up in the Birch dining room to be a part of this event. If you are a Cedar resident, please come to meet with Mark Osweiler, Concordia’s General Manager! He will be in the Birch common area to get to know each Birch resident and answer any questions or concerns you may have. RSVP in the Birch on campus book to be a part of this event by Tuesday, October 16. Don’t miss this great buffet restaurant where you get to make your salad EXACTLY as you like. There are numerous choices on the salad bar as well as wonderful soup and bread choices. You will also be able to choose from a variety of pasta dishes as well as have a yummy ice cream sundae or brownie. Lunch is only $8.99 plus tax and tip for a healthy meal!! Lunch is on your own. If you cancel within 24 hours of the event, you will be responsible for a cancellation fee of $5; $10 if it is a 2-van event. Please sign up in the Birch dining room to be a part of this event. Come and be a kid again! I will have some smaller pumpkins or you can bring your own and we will be on the dance floor in the Event Center to make our masterpieces! Please bring any knives or other instruments you will need, I will furnish pumpkins, some snacks and clean up! Come and have some unadulterated old, fashioned fun! Who knows, there may be a prize involved! PG13 2004 2Hr 8Min After a coup d’etat, explodes in his homeland, Viktor Navorski is stranded at Kennedy Airport, WHERE HE’S HOLDING A PASSPORT THAT NOBODY RECOGNIZES. While quarantined in the transit lounge, Viktor simply goes on living. Cast: Tom Hanks, Catherine Zeta-Jones, Stanley Tucci, More…No need to sign up, just come and enjoy! Be sure not to miss this fun event! Wear a funny, scary, serious or zany costume for the contest and you may win a prize! Come enjoy sharing your costume with friends dressed up as witches or cats or?? Get in the spirit and have some fun! RSVP in your building’s book to be a part of this event by Wednesday, October 24! Celebrate Leonard Bernstein’s 100th birthday with a production whose heartbreaking themes, brilliant music and vibrant characters forever changed American musical theatre. “West Side Story” transports Shakespeare’s tragic “Romeo and Juliet” to the streets of 1950’s New York, where two star-crossed lovers on opposite sides of a bitter gang rivalry fight to keep their relationship alive. Sixty years after its premiere, this visceral tale about the immigrant struggle to find a place in American society still resonates. $18 will be charged to your account for rear orchestra seating in Mackey Auditorium. If you cancel and we cannot find a replacement, you will be responsible for $18. If you cancel within 24 hours of the event, you will be responsible for a $5 cancellation fee; $10 if it is a 2 van event. Please sign up in the Birch dining room to be a part of this event. What a great way to spend a day in Greeley around Halloween! This factory is home to thousands of masks and props for movies and haunted houses alike! This large warehouse has creepy masks, and half bodies, monsters, etc…that move and are great parts for special effects during the Halloween holiday! This is a freakishly fun place to visit and learn about these creations! Afterward, we will have lunch at one of Greeley’s yummiest Italian restaurants, Santeramo’s Lunch is on your own. If you cancel within 24 hours of the event, you will be responsible for a $5 cancellation fee; $10 if it is a 2-van event. Please sign up in the Birch dining room to be a part of this event. We will start a monthly game day with different games each time! This time, we will learn to play Texas Hold’em Poker and Five Card Draw. Come on over and learn how to become the card shark of your friend group! This will be a fun afternoon of learning to play a VERY popular game. It’s ALL the CRAZE! This yummy eatery is one of several locations that the owner has in Denver. He wanted to create a place that had every kind of biscuit offering on the menu! He has done this while earning “BEST of DENVER” awards along with being featured on the Cooking Channel, CNN, Headline News. The menu includes fried chicken on a biscuit, sausage gravy on a biscuit, bacon and jelly on a biscuit, pulled pork sandwich on a biscuit, French toast made out of biscuits and much more! Come enjoy a yummy morning out! Please peruse the menu in your building’s book before signing up! Breakfast is on your own. If you cancel within 24 hours of the event, you will be responsible for a $5 cancellation fee; $10 if it is a 2-van event. Please sign up in the Birch dining room to be a part of this event. Talk your friends into going to the movies! We will go to an area theatre where you will be able to choose from a couple of current movies. This is a nice chance to spend time with your friends and become acquainted with popular culture through movies! Movie and refreshments are on your own. Risa will determine what movie(s) will be seen no sooner than the Monday prior to Movie Out. Most likely, the 12:30pm time noted below will change. You may choose to go or not, based on whether you’d like to see the movie(s) being offered. **You will not be charged a cancellation fee if you decide not to go. Please sign up in the Birch dining room to be a part of this event. PG 1954 1Hr 55 Min As his broken leg heals, wheelchair-bound L.B. Jefferies (James Stewart) becomes absorbed with the parade of life outside his window and soon fixates on a mysterious man whose behavior has Jefferies convinced a murder has taken place. Meanwhile, other windows reveal the daily lives of a dancer, a lonely woman, a composer, a dog and more. Grace Kelly, Thelma Ritter and Wendell Corey co-star in this Alfred Hitchcock-helmed classic. Cast: James Stewart, Grace Kelly, Wendell Coroey, More…No need to sign up, just come and enjoy!